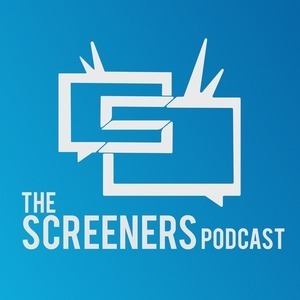 The Screeners are back, this time with heavier hearts than normal, as we have to recap the life and death of yet another beloved celebrity. Robin Williams was a man with a bullet train for a mind and a mouth to match. Disarming, funny, and by all accounts as wonderful a human being as he was an actor—you’ll be missed, Genie. The hosts spend the first Jump Cut reliving their favorite memories from Robin’s prolific career—and no, they won’t be paying any attention to the buzzer. After the nostalgia, it’s back to the controversy machine that is cable television—or, in this case, premium television. Nic Pizzolatto, the writer (and college professor) behind HBO’s True Detective, has been accused of plagiarizing his most memorable character. Is there some truth to the claims, or is the Internet just blowing smoke? Moving back to the big screen, we’re in the middle of blockbuster season, but the Screeners only have so many main events to talk about new releases. The four spend a little time on micro-reviews of this year’s also-rans...except for Josh. We’re never sure what he’s going to add to a conversation about movies one sees in a theater. Our last Jump Cut for this episode moves away from passive entertainment entirely and into the world of mobile apps. Facebook’s causing yet another privacy ruckus with their new Messenger app. It shouldn’t take us a full 4 minutes to explain how these sorts of things work and why people should either stop whining or stop using Facebook, but we’ll give it a shot. Turtles and...What Is that Thing in Guardians, Anyway? A Fox? Josh is once again absent for the main event since he anticipates his next trip to the theater to be some time after we put an astronaut on Mars, but Melody, Chris, and Chad are more than capable of doing Michael Bay’s Teenage Mutant Ninja Turtles justice. In fact, a room of chimps with microphones (instead of typewriters...get it?) could probably do that movie justice, but have you ever tried to rent chimps? It’s not easy. But wait! There’s more! If you listen for the next 10 minutes (or so…), you’ll also hear a review of Guardians of the Galaxy at no extra charge! Don’t say we never did anything nice for you. To round out the episode, play along with a rousing game of...The Tomatoes are Wrong? Rotten Guessers? Whatever we’re calling it, Josh is playing this time. In honor of Robin Williams, the Screeners (minus Chad, who gets to host since he’s currently the rottenest of all the tomatoes) will be trying their hand at predicting the critics’ ratings of some of the last 30 years’ best-known comedies. Play along at home, and see if you’re better at guessing random numbers than we are! That’ll do it for this episode; make sure to join us next time, when...you know what? We haven’t decided our next set of topics yet. How about you head on over to Facebook and let us know what you want us to talk about. But, um, don’t use the Messenger app, because it’s evil or something. We heard that if you install it, Donald Trump will buy your local water tower and put his name in 50-foot gold letters on the side.